What medical liability insurance do you carry? The governing body of dentists in Hungary is the dental branch of the MOK (Magyar Orvosi Kamara, or Chamber of Hungarian Dentists). They act basically as the Hungarian version of the GDC, they regulate what skills a dentist has to have to be considered a dentist, also, they provide legal protection in case of a libel, and provide oversight in rulings or legal actions involving their craft, and provide indemnity insurance. In this, they also share a little bit of the responsibilities of the DDU (Dental Defense Union) in Britain. Each dentist carries liability insurance that is compulsory for joining the Hungarian Chamber of Dentists. How can you offer a risk-free dentistry? Don't take risks with your teeth. Is the clinic well equipped? We are committed to excellence in every aspect of our work. We only use the most highly-rated, tried and tested technology, materials and techniques. All 11 surgeries in Budapest have Siemens Sirona medical units which is one of the world’s top 3 medical brands. Our award-winning lab technicians work with premium quality equipment and materials selected from reputable manufacturers such as Bego, Nobel Biocare and Yamahachy. Do the dentists have several years experience? Our highly skilled team of dentists all have considerable experience in their field. We place 300 implants a year. All our staff attend 120 hours of training annually including in-house training and regular study group sessions. All our London dentists are registered with the General Dental Council and display their registration number complying the corresponding GDC directive. What kind of treatment types are there that fit my budget? Our dentists see over 5,000 patients a year for dental crowns, dental bridges, dental implants, veneers, orthodontics and all types of cosmetic dentistry. You can meet our dentists in a relaxed atmosphere and have ample time to discuss treatment alternatives, times and costs. In every case you will receive one or more detailed treatment plans so that you can make travel arrangements, take time off work, and budget accordingly. Can I meet the dentist before flying out? Yes, the dentist you meet in London will be the same one who treats you in Hungary. What kind of aftercare and guarantee do I get? We provide a written guarantee on restoration works of 3 years and lifetime guarantee on implants* (*material defects). Our documents are supplied in clear English (so that you have a record of the treatment). You will have full documentation and written guarantee for the procedure in case of problems after the treatment. Nevertheless we can always book you in for an emergency check-up locally at Oxford Circus. We run our own aftercare programme to help our patients meet their guarantee conditions as it is in their best interest. Will they understand my concerns and provide satisfactory explanation to all my questions? The way we make treatment free from all these risks is by providing as much information as possible about your treatment options so that you can make informed choices. Whatever questions may arise we provide full explanation by phone or in writing. Don’t be afraid to ask lots of questions, even if they seem obvious. Do the dentists speak English well? We make sure that the medical-dental team’s qualifications include foreign language knowledge. All dentists speak English. Will they treat me with care and attention? 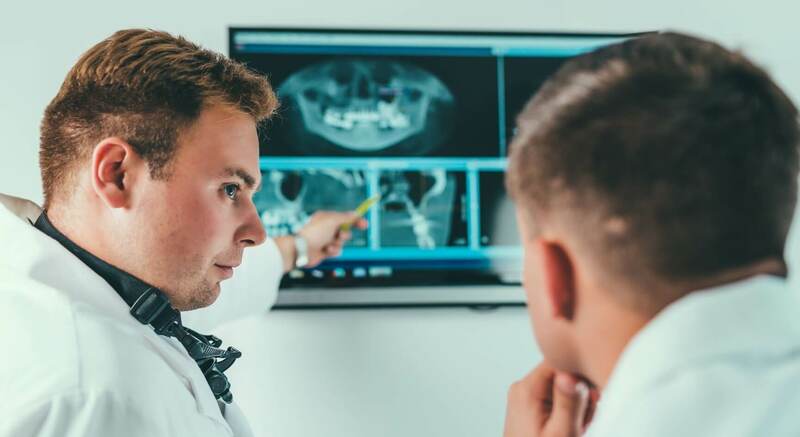 As far as standards of care and the relationship between patient and dentist is concerned, expect it to be similar or better than at home as you will be treated by professionals. We care about the details and treat you with exceptional care! This material is based on the ‘Going abroad for your dental care’ leaflet issued by the UK General Dental Council. Before going abroad to have a treatment we advise patients to obtain a complete medical travel insurance for their stay. Medical Travel Shield is travel insurance designed for patients travelling abroad for dental treatment. The policy also provides cover for the patient’s travelling companions. Cover includes protection against the cost of specified situations that may occur whilst you are on a trip, such as cancellation and curtailment, emergency medical treatment abroad, personal accident and loss of baggage and / or travel documents. There is optional additional cover at an additional premium to cover the patient for a further trip back to the same hospital or clinic within 12 months for medically necessary corrective treatment in the event the original treatment was no successful. What regulatory body do you comply with? The ÁNTSZ (Állami Népegészégügyi és Tisztiorvosi Szolgálat) is the leading health regulatory body in Hungary. Our Budapest clinic to operate in Hungary, need to be on par with the expectations of the ÁNTSZ, and nothing less can be offered under the mantel of health care. Our London clinic is regularly inspected by the UK's Care Quality Commission in order to meet the required dental standards. Am I eligible for NHS refund? UK residents are eligible to apply for NHS reimbursement to reduce the price of their dental care. You can apply for refund after every visit of your treatment. If you wish to do so please notify your coordinator and we will help you fill out the necessary documents.